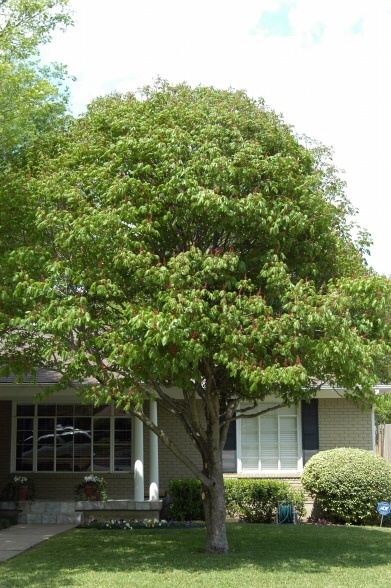 FLOWERS AND FRUIT: The flowers form in the spring – usually March to May – in showy red clusters. The fruit is a one to two inch capsule, light brown with one to three flattened or rounded seed. 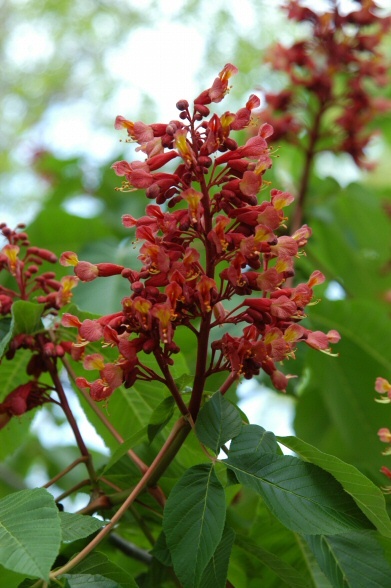 (Aesculus pavia) Small-scale understory tree, beautiful chestnut-like foliage, and red flower spikes in late spring. Needs plenty of light but shade in afternoon is best. Low-maintenance plant.